It seems as if electric vehicles, or EVs, are finally cool. Even if they are not quite there yet, Nissan just gave the green cars a big boost by naming its first electric vehicle ambassador. Margot Robbie, the Australian actress known for her roles in The Wolf of Wall Street and Suicide Squad, was formally announced at a late-night drive on the Monaco Grand Prix circuit this month. When we say a “late-night drive” we actually mean a drive at midnight. While you might think that the time would imply that Nissan was launching a Midnight Edition of the popular Nissan Leaf to match the ones unveiled at the Chicago Auto Show, you would be incorrect. Margo Robbie took to the track in the cutting-edge BladeGlider sports car, which was unveiled as a prototype before last year’s Rio Olympics. The vehicle can reportedly reach speeds of 100 km/hr in less than five seconds. Its unique shape and contrasting color design help the car turn heads even when it’s not achieving its top speeds. Supposedly it seats three, but we would have to get a better look at the back seat to tell you if that is really true. 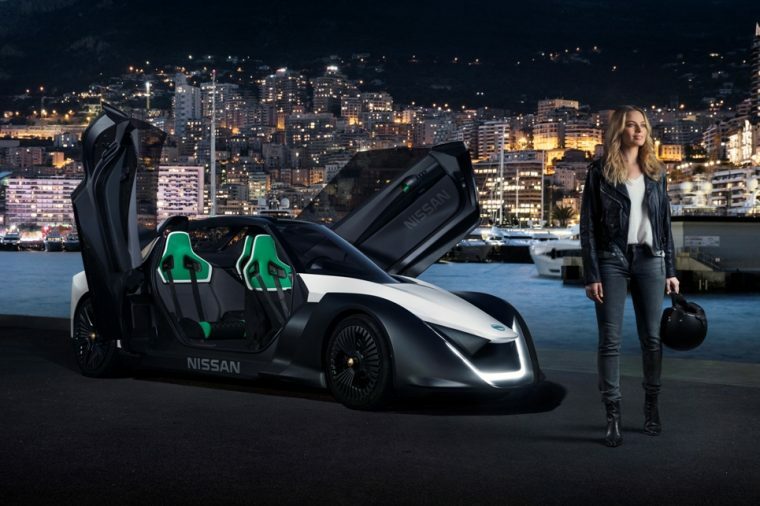 To see the car (and Margot Robbie) in action, take a look at the video from Nissan below. “It’s a really exciting time for electric vehicles,” said Ms. Robbie. “More people are choosing to go electric, leading the way to a more sustainable future and the Nissan BladeGlider hints at the future of smarter performance cars.” Does this sponsorship mean that Harley Quinn will drive an electric car in the future? Only time will tell.